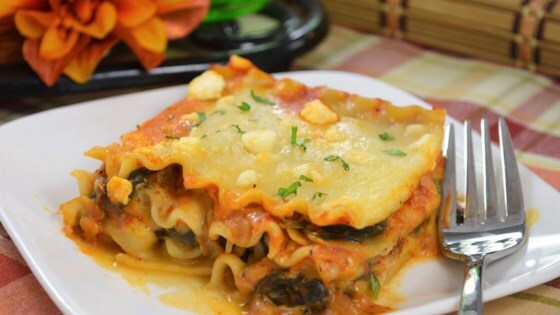 "This is a fabulous lasagna made with an artichoke and spinach mixture which has been cooked with vegetable broth, onions and garlic. The mixture is layered with lasagna noodles, pasta sauce, mozzarella cheese, and topped with crumbled feta." This was just okay, nothing too special for all the work it took to prepare it.